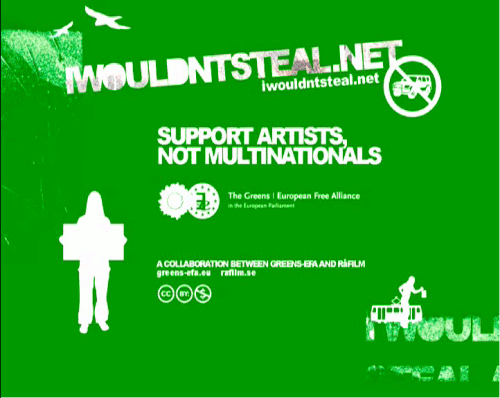 I wouldn’t steal is a new and cute one minute video making the case that sharing is fair and people who would never steal a handbag, car, or television nevertheless download film and music. Whatever you think of that, there’s no ambiguity around downloading and remixing I wouldn’t steal — it is licensed under CC Attribution-NonCommercial. Here’s a still of the video bumper. Is the car in a circle-slash an inside joke for CC fans (in the style of CC license icons, which are also used in the bumper), Greens (skeptical of the automobile), merely a literal iconic representation of the video’s content, or some combination thereof? You're not really cutting edge.